An analog signal is a constantly fluctuating representation of a circumstance, which can be directly measured such as human voice, video, radio, and others. On the other hand, a digital signal is presented in the form of bits, and at any given time it can take only limited number of values, for instance, in case of a digital computer, there are only two states which are either 1 or 0. An analog signal generates continuous data, while a digital signal consists of discrete data. An analog-to-digital converter (ADC) is an electronic integrated circuit that converts analog signal (continuous data) into digital form (discrete data). Increasing disposable income and technological advancements supplement the analog-to-digital converters market. However, complex design of the ADC hampers this market growth. On the other hand, encouragement in digitization of work processes by government in emerging economies, and continuous competitive pressure to develop high-performance and efficient device is expected to present numerous opportunities for market expansion. The major companies profiled in the report include Analog Devices, Inc., Microchip Technology Inc., Sony Corporation, Maxim Integrated, Adafruit Industries, Texas Instruments Incorporated, Asahi Kasei Microdevices Co., Renesas Electronics Corporation, National Instruments, and Diligent Inc. The global analog-to-digital converters market is segmented based on product type, application, and region. The products covered in this report include ramp ADC, integrating ADC, successive approximation ADC, delta-sigma ADC, and others (pipelined/flash ADC). Based on application, the market is bifurcated into consumer electronics and industrial. Based on region, it is analyzed across North America, Europe, Asia&dash;Pacific, and LAMEA. 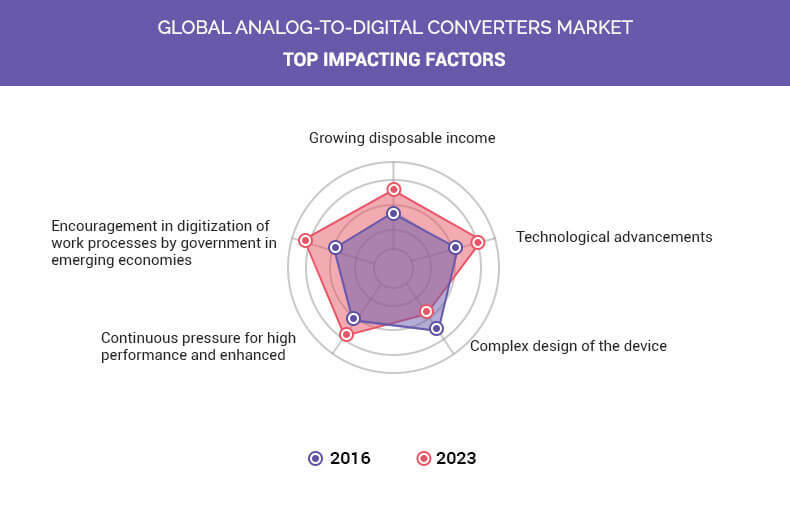 Growth in disposable income, technological advancements, need for high performance & enhanced efficiency of the device, complex design of the device, and encouragement in digitization of work processes by the government in emerging economies are the significant factors that impact the growth of the global analog-to-digital converters market. These factors are anticipated to either drive or hamper the market growth. Disposable income, also known as disposable personal income (DPI), is the income that remains after the deduction of the taxes, excluding healthcare deductions, payroll taxes, social welfare charges, and any other deductions. DPI can be saved or spent as per choice of the individual. Globally, an increase in disposable income of individuals has been witnessed. For instance, according to the Office for National Statistics (ONS), Europe reported a record in high household disposable income in 2016. In addition, China’s per capita disposable income observed 6.3% rise in the same year. This in turn fuels the growth of global analog-to-digital converters market. Every ADC device consists of comparators. The specifications of such comparators are vital while designing any type of ADC, and this comparator requirement is high for high-resolution ADCs. In addition, design of few types of ADC is more complex as compared to other designs. For instance, successive approximation (SAR) conversion is the most complex design. Thus, the complex design of the device hampers the market growth. The digitization process involves conversion of information into digital format, which can be stored, manipulated, and processed to obtain the desired output. It consists of automation of the work process to meet customer expectation by reducing the number of steps required to complete a task. Governments of various countries are encouraging the digitization of their work process, especially in emerging economics. For instance, the Singapore government announced provision for a grant up to 50% of qualifying projects capped at $1 million, which will scale up or roll-out automation projects. This study comprises analytical depiction of the global analog-to-digital converters market with current trends and future estimations to depict the imminent investment pockets. The analog-to-digital converters market possesses high potential for growth in the data converters industry. The current business scenario has witnessed an increase in the demand for these converters, particularly in the developing regions. 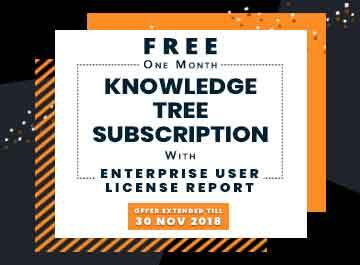 The companies have adopted innovative techniques such as product launches, product developments, and partnerships in an effort to provide customers with advanced and innovative product offerings. The global analog-to-digital converters market is expected to witness a high growth rate in the near future, attributable to rise in disposable income and numerous technological advancements. However, complex design of the device impedes the market growth. Advanced innovation in communication technologies has been witnessed, such as multi-standard radios, multi-input/multi-output, due to which there exists need to provide multichannel programmable data conversion, which in turn is expected to drive the improved ADC performance in the near future. Among the analyzed geographical regions, Asia-Pacific is expected to account for the highest revenue in the global market throughout the forecast period. 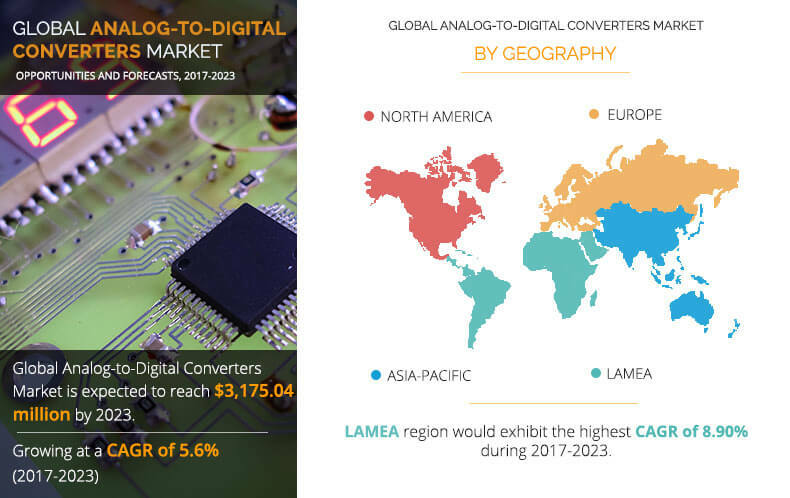 However, LAMEA is expected to grow at a higher growth rate, predicting a lucrative market growth for analog-to-digital converter applications. Analog Devices, Inc., Microchip Technology Inc., Sony Corporation, Maxim Integrated, Adafruit Industries, Texas Instruments Incorporated, Asahi Kasei Microdevices Co., Renesas Electronics Corporation, National Instruments, and Diligent Inc. are key market players that occupy a significant revenue share in the global market.